Despite the well-documented relationship between depression and antiretroviral therapy (ART) nonadherence, few studies have identified explanatory pathways through which depression affects adherence. The current study tested lifestyle structure—the degree of organization and routinization of daily activities—as a mediator of this relationship, given previous evidence of lifestyle structure being associated with both depression and ART nonadherence. 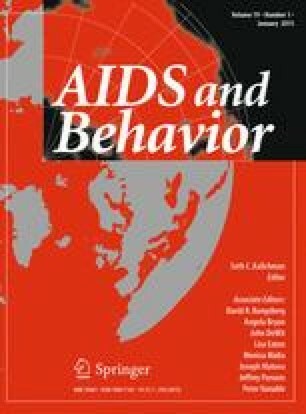 HIV-infected individuals starting or re-starting ART in the California Collaborative Treatment Group 578 study (n = 199) were assessed over 48 weeks. Adherence was measured using electronic monitoring caps to determine dose timing and doses taken, and viral load was assessed. The mediating role of lifestyle structure was tested using generalized linear mixed-effects modeling and bootstrapping. Lifestyle significantly mediated the relationship between depression and both measures of ART adherence behavior. Interventions that minimize disruptions to lifestyle structure and link adherence to daily activities may be useful for individuals with depression and ART nonadherence. This study and Dr. Wagner were supported by R01MH61695 and the University Wide AIDS research program at the University of California, center Grant numbers CC99-SD003 and CC02-SD-003. Dr. Magidson’s work on this manuscript was supported by R36DA034513 (PI: Magidson) and T32MH093310 (PIs: Henderson and Fricchione). Dr. Blashill was supported by K23MH096647 (PI: Blashill), and Dr. Safren was supported by K24MH094214 (PI: Safren).